16001S Size: Small Features: -Booties are for indoor use only.-Gender: Unisex. Includes: -Includes: Jumpsuit and character hood. 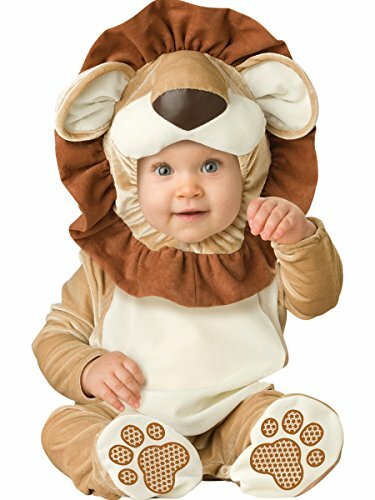 This Snuggle Lion Baby Costume is far from scary! The fluffy jumpsuit is easy to wear for a small guy or gal. There is a thick faux hair lining around the opening of the hood which will frame your baby's face so adorably and easily snaps right on and off. Your little king will be able to keep cozy with the attached fluffy feet mittens and slip resistant booties. 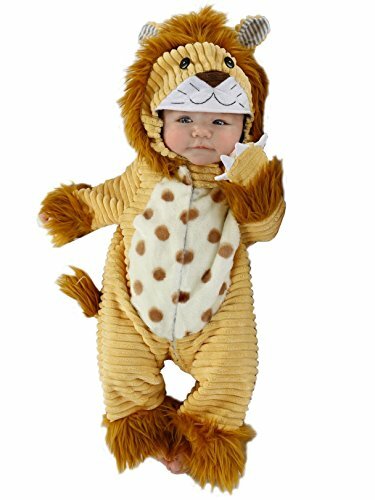 He will be so happy wagging his little stuffed tail for candy this Halloween! I am brave, hear me roar! 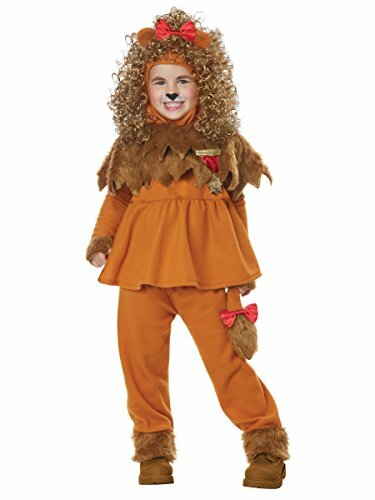 The Courageous Lion of Oz toddler costume is made up of shirt, pants, lion headpiece, ear headband, (2) two red bow clips, and badge. 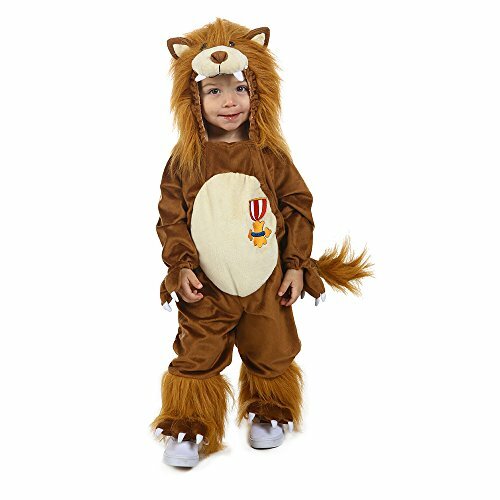 The headpiece is a hood with faux fur collar and shoulder piece; it is decorated with an attached curly hair mane. 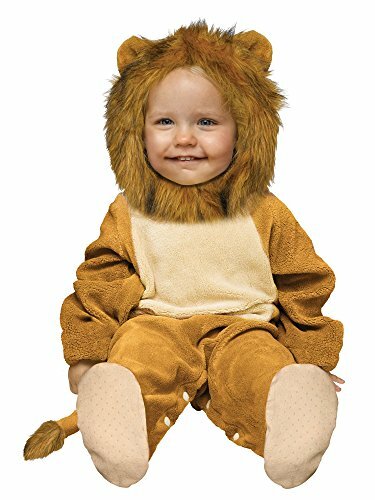 The pants have an attached lion tail with a fuzzy end puff. The ear headband can be worn with the hood either up or down. 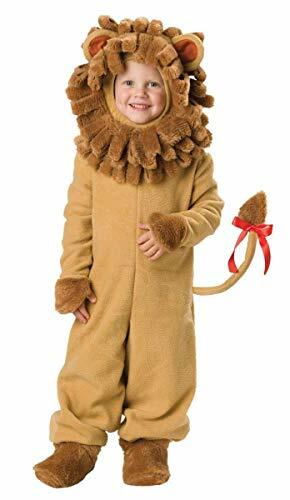 This take on one of the most beloved wizard of oz characters is a one-piece jumpsuit with attached hood made of a dark brown plush fabric. A subtle contrasting light brown plush fabric makes up the belly, nose, and inner ear. And to increase the cuddle factor, a brown Faux Fur is used to create his mane, bottom legs, and tail end. 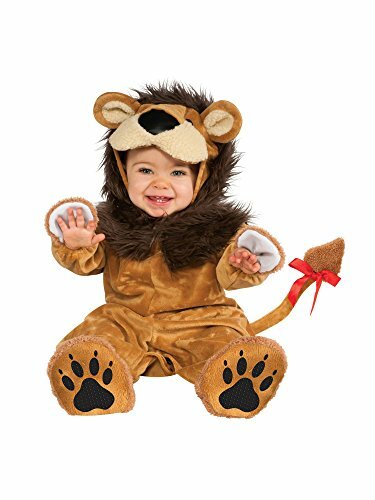 Although it's rare to hear cuddly and lion used in the same sentence, get used to hearing it every time your toddler puts on this costume! bringing imagination to life, Princess Paradise has a mission to be a leading costume company in quality and design and in employee satisfaction. Happy workers make fun costumes! 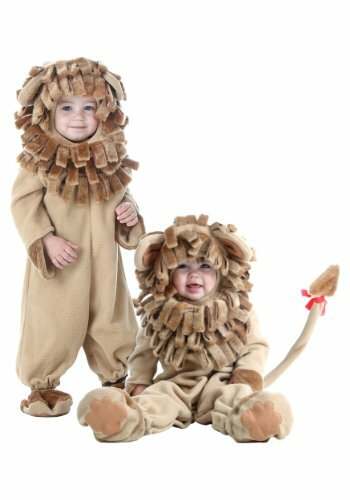 we create costumes for newborns to adults, something wonderful for every family member. Our costumes are made from unique and trendy fabrics that will inspire your imagination and delight you at the same time.